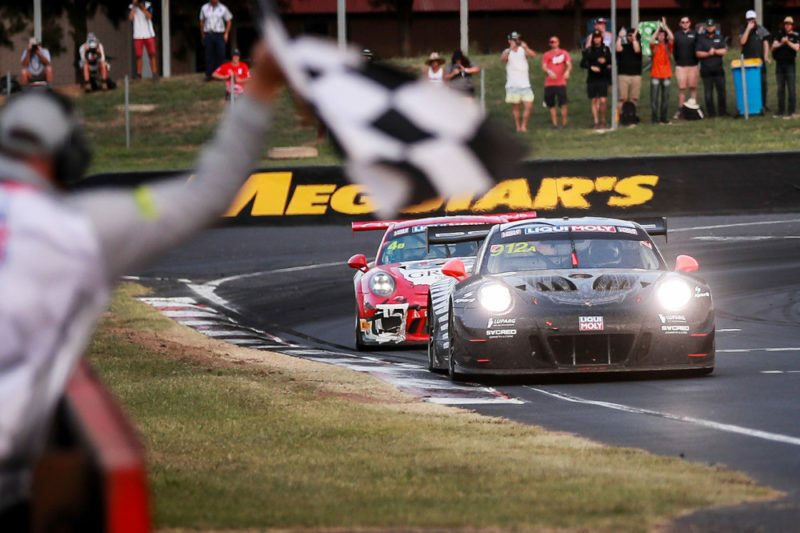 This weekend marked the final race ever for factory-supported 911 GT3Rs, and the first win for Porsche at the Bathurst 12 Hour. In winning the Bathurst 12, Porsche is on track for an incredible Intercontinental GT Challenge season. Factory racer Dirk Werner partnered with a pair of Porsche Young Professionals to take the win, Aussie Matt Campbell and Norwegian Dennis Olsen. The trio raced for EMB, a brand new team owned by factory racer and Le Mans winner Earl Bamber. The team performed well all day, but it was Matt Campbell's astonishing and heroic final stint that really punctuated the race and brought home the trophy. Campbell moved from fourth to the lead in the final half-hour on fresh tires, and it was an absolute masterclass. In order to get a feel for just how impressive Campbell's drive was in the final hour, you simply must watch it. Matt drove a faultless last stint in the 12 hour just inspiring to watch his driving skill especially one of the best passing moves if not the best on the day. And, just the GT3R just ran faultless, compared to turbo and larger capacity engined cars of the rest of the field.